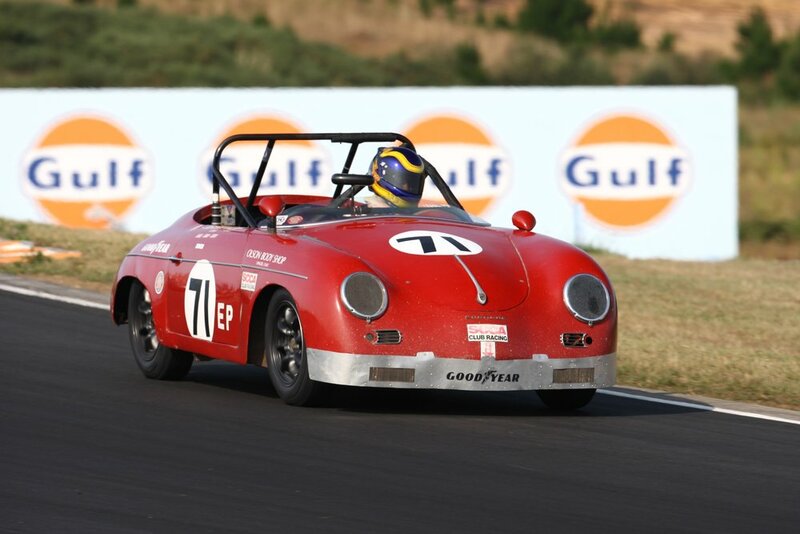 The little red #7 Porsche Speedster started a memorable and legendary journey that lasted for 33 straight and continuous tough competitive ‘fender to fender’ SCCA racing years… and rarely missing a race as a true “American Privateer” story with Brig. General James Kilpatrick starting the memorable journey racing the first race at Del Mar in 1964 …and “logging out” in his SCCA log book August 10-11, 1996 at Sears Point International Raceway in Northern California. The little red Porsche 58’ Speedster was undaunted and always prepared by the “General”… as it faced a changing “grid” in E Production over the many years of racing which included two SCCA National Runoffs in E Production at Road Atlanta. The Kilpatrick Speedster always had the engines built by General Kilpatrick as well as all the mechanicals…and with the motorhome and the Speedster on a small trailer behind… James and wife Emmy were known at so many race circuits across the county. Being a pilot, Brig. General James accurately logged in over 55,000 SCCA racing miles on the Speedster, which is thought to be a record in SCCA. The General was always a fair competitor and relied on durability with consistency always. The San Francisco SCCA retired the legendary # 7 in memory of Brig. General James Kilpatrick. 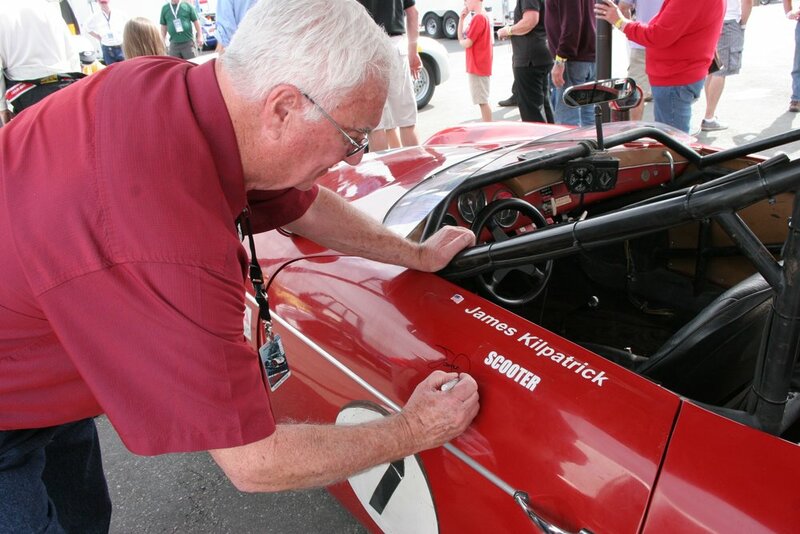 The Kilpatrick Speedster achieved one of the most incredible racing records in SCCA history. The little red #7 Speedster thought it always could… and it did. The Kilpatrick SCCA Porsche E Production race car established a record breaking 33 straight years of SCCA Racing by one driver and one car… and 55,000 Competitive SCCA Race miles. 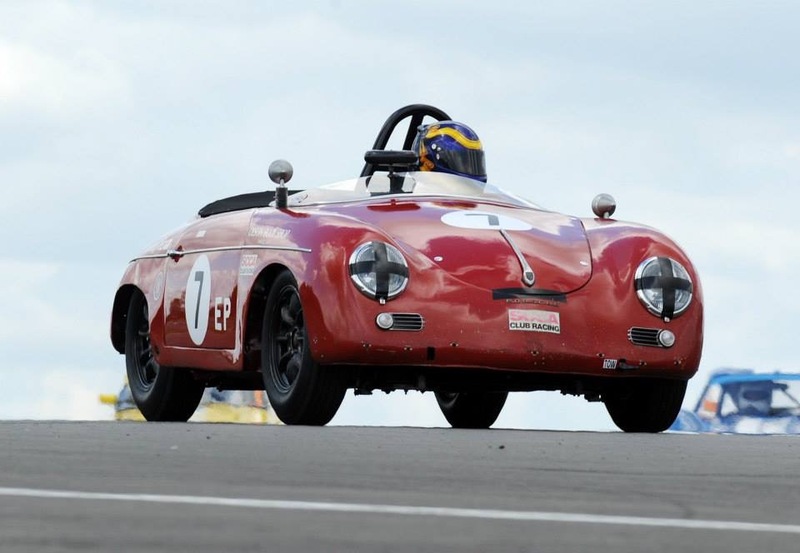 The Kilpatrick Speedster was raced at the Monterey Historic Races- Special Tribute to Porsche. 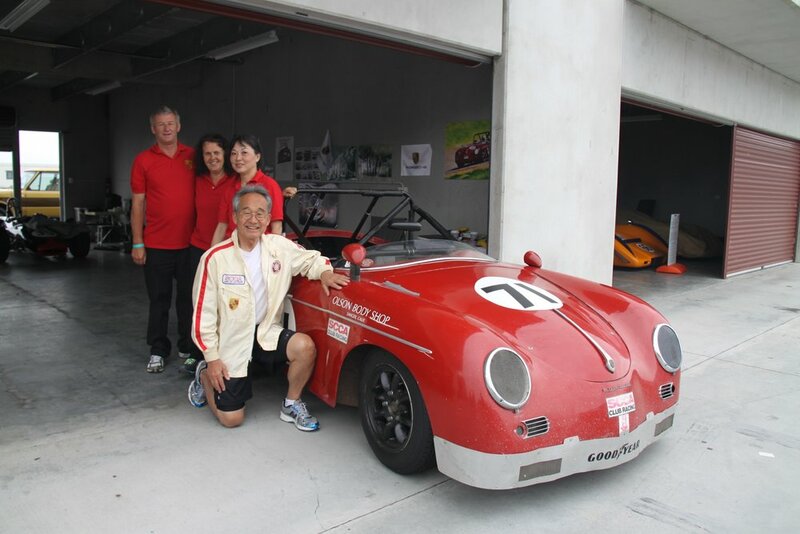 The Speedster was a Co Winner of the First Bruce McLaren Perpetual Trophy at New Zealand Festival of Motor Racing and raced at Hampton Downs Raceway and at the Pukekohe Raceway. The Speedster was feature automobile along with two Porsche Museum cars at the New Zealand Festival of Porsche at Lake Taupo in New Zealand. The Kilpatrick was raced at Donnington Raceway in England and at Snetterton at the Archie Scott Brown Trophy Races. 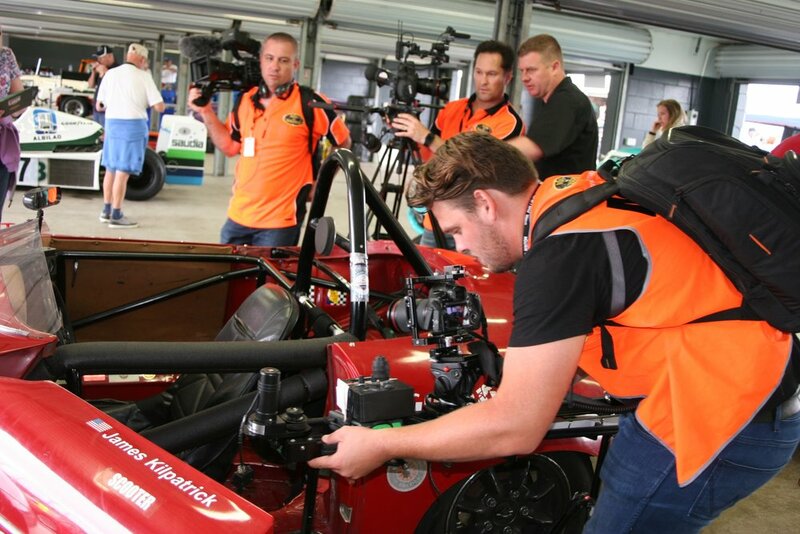 The legendary SCCA Porsche was raced and was a feature car with Porsche Museum Porsches at the 2016 Festival of Motor Racing Tribute to Porsche at Hampton Downs Raceway in New Zealand. The Speedster will be featured and will race at the 2017 Chateau Impney Hill Climb. The Kilpatrick Porsche will race at the prestigious 2017 Silverstone Classic in England.